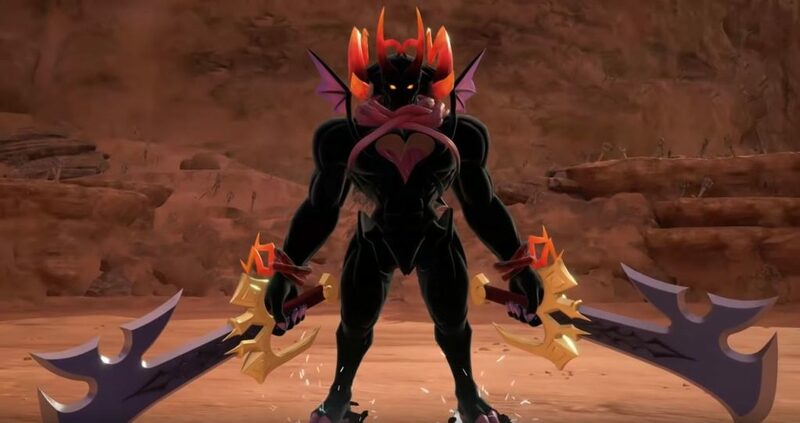 Dark Inferno is a secret boss in Kingdom Hearts 3. You can play through the game without ever encountering it, but you’d be missing out on an amazingly hard boss fight, and some fabulous rewards. If you’re interested in overcomming this challenge, keep reading our Kingdom Hearts 3 Dark Inferno secret boss guide, and we’ll tell you where to find him. Where to find Dark Inferno in KH3? In order to find this secret boss, you’ll first have to finish the game. Once you’re done with the main story, the Battlegates will open all across the game world. Dark Inferno is hidden on the other side of one of these portals. Travel to the Keyblade Graveyard and look for Battlegate 14. Enter it, and the fight will begin. Keep in mind, this is a really tough enemy. He has a 3 star difficulty, and you’ll have to fight him without the aid of your buddies. He has, like, a gazilion health points and his weapons are really long. It’s going to be living hell if you haven’t mastered your combos. If you manage to overcome the dark devil, you’ll end up with a great accessory. It’s called the Crystal Regalia, and it will increase your strength and magic by 5 each, your AP by 16, and will give you access to the MP Hastega ability. The ability is used to replenish MP, so it’s a great fit for any character build that relies on casting spells. We’ll keep exploring the game, and if we discover any more secret bosses, we’ll let you know promptly. Stay tuned. If you need help with other stuff in Kingdom Hearts 3, we’ve written about orichalcum ore locations, the mini-games, Flantastic Seven challenges and many other difficult, tedious or simply poorly explained things. Do you by chance have all the chests? Lv. 60 here. Beat him with a few elixirs.